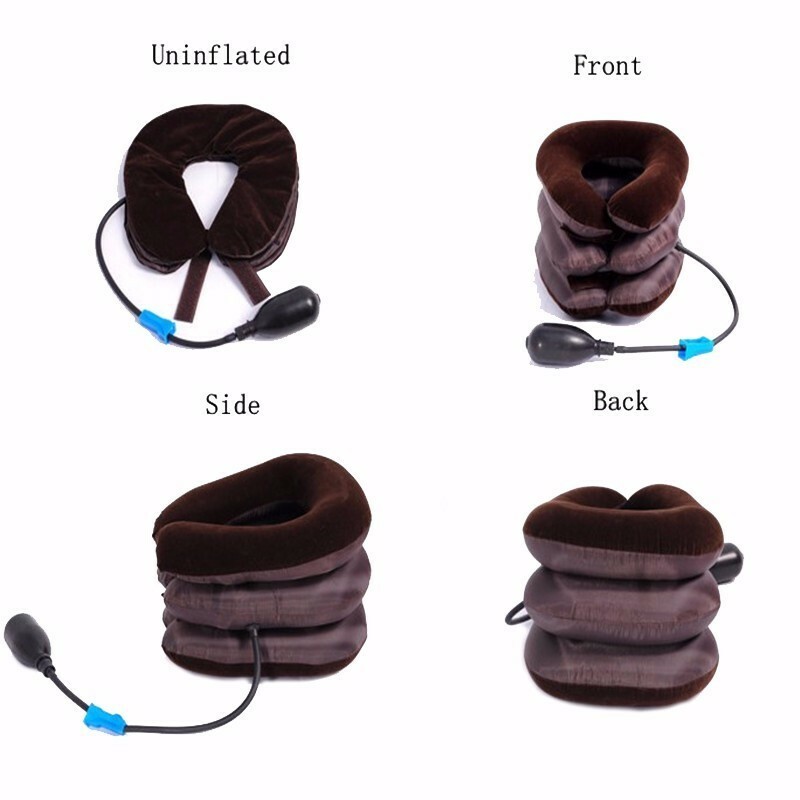 The air neck traction elongates to support the weight of the head allowing tight neck muscles to relax. Further inflation will help take pressure off the discs, joints, nerves and blood vessels allowing increased blood flow and decreased irritation. Great for reducing neck, shoulder, and back pain while working, studying, driving, etc. 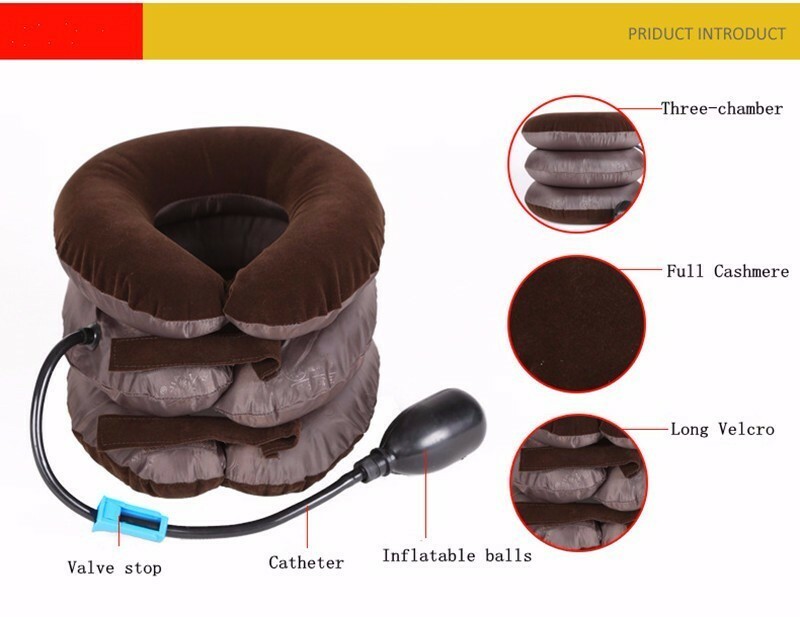 Simply place the Air Neck Traction device comfortably around your neck and inflate with air using the high efficiency hand pumps to gradually raise the level to a comfortable stretch. Reducing neck, shoulder, and back pain while working, studying, driving, etc. 1. Use a mirror as a reference to position the device correctly. You can use the two nylon straps in the front to adjust the fit. 2. Before inflation, push the blue wheel on the airlock down away from the hand pump. 3. Use the pump to inflate to your preference, then roll the wheel back to lock the air in. 4. 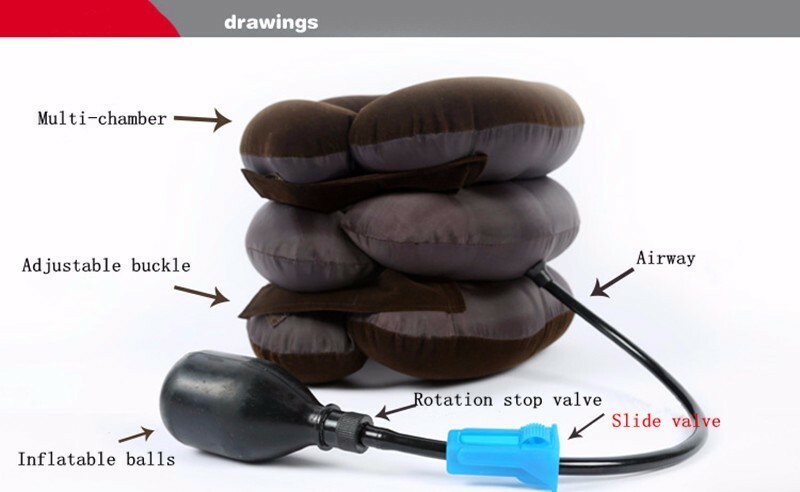 Deflate by unlocking airlock and twisting open the screw connected to the pump.